Yo yo wuz up?! Are you ready to party like it’s 1999? So, are you new here? 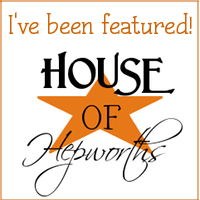 I throw the Hookin’ Up with HoH Party every week to give all of you a chance to find other awesome blogs to read. Below you will find several hundred mini links to other people’s blog posts. Have fun browsing through the links in search of new ideas. Also, if you are a blogger, please feel free to add your own links to the list! Awesome new feature: Any projects I feature each week I will pin on Pinterest for everyone to see! Follow me on Pinterest to get in on the pinning action. * Please refrain from posting links to shops and stores. RECIPES/FOOD now has a separate link. Please make sure to link your recipes on the new link at the bottom. 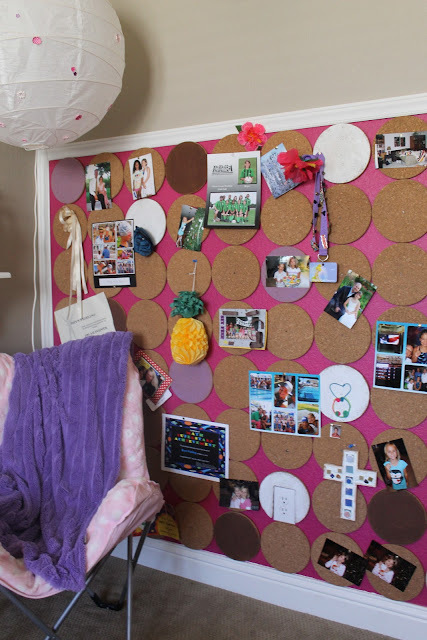 Make Them Wonder used IKEA cork trivets to make this huge corkboard! Such a fun idea!! 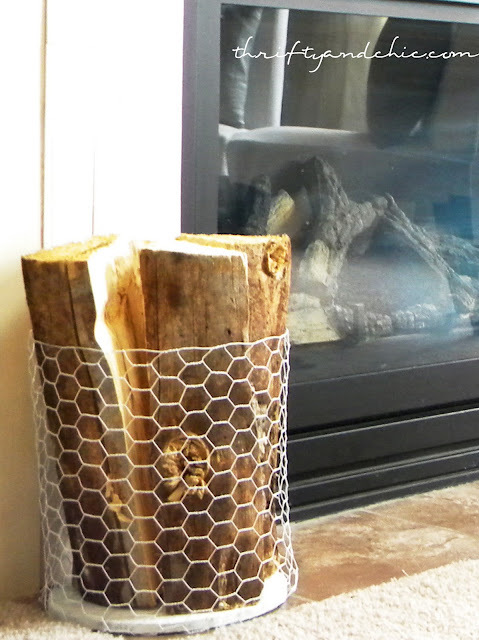 Thrifty & Chic wows us with a firewood holder made from chicken wire. 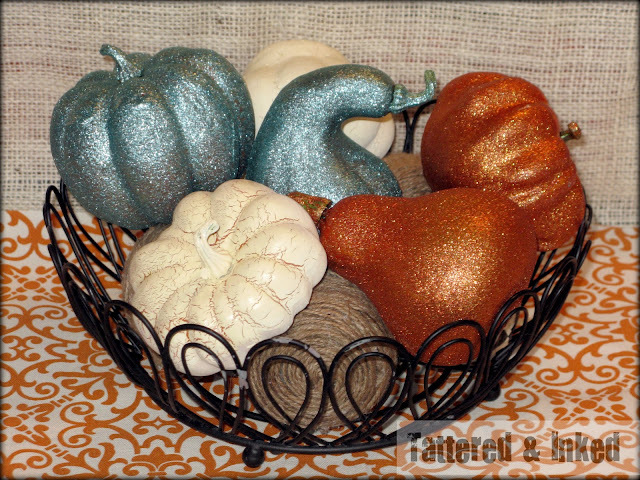 Glittered Seasonal Decor? I’m sold. Check out how Tattered & Inked did it. An amazing DIY headboard from Making it Homey. 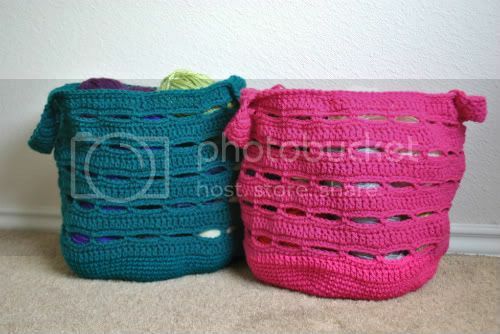 Pink Stitches made these huge baskets from yarn. Pretty and functional. Nice job! Project Possessed has me smitten. This chandy use to be so ugly. Like, so UGLY I would have never even attempted a makeover on it. But holy cow, I’m totally diggin’ it now. Go check out the before so you can truly appreciate this after version. Loving this pretty DIY headboard from Turning Stones. Just Us Four shares some cute ways to decorate lanterns for Halloween. Orange? Love it. Isn’t this a cute playroom makeover from Family Ever After? Have I ever mentioned that I love orange? Ack. OMG. I am dying over these silhouettes. Literally dying. I can’t get enough of them. Go to Doodle Craft for a tutorial. 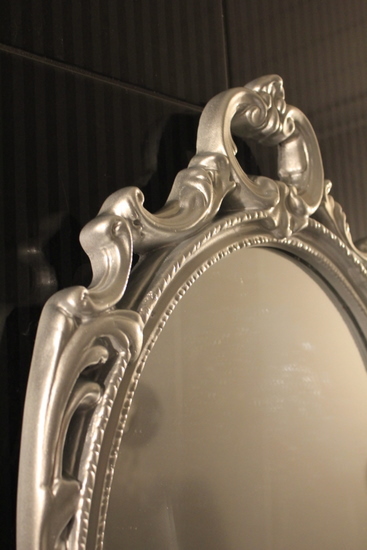 Pour Ameliorer painted some mirror frames silver and they are pretty! Go check out how she’s using them in her home. Post about anything you’ve worked on recently! * Link back to my blog, please. Buttons can be found HERE. * Link directly to your specific post. * Please only post links that you haven’t previously posted at one of my parties. We want fresh new content each week. * Don’t link up your LINK PARTY *unless it’s also a craft or tutorial of your own*. Add your link party HERE if you want free advertising. « 3 projects; 1 post. Tackling the foyer. Thanks for hosting Allison! Have an awesome week! thanks so much for the feature!!! Hi Allison! Thanks for hosting such a great party every week. The features are great. I need to check out the ones I missed. Great features! Thank-you so much for hosting, Allison! I accidentally put my recipe in the craft section, sorry! Wow! It’s my first time being featured. Thanks, Allison! Wow, thank you so much for the feature! I love your blog and it’s been a great inspiration for me. Thanks for much for the feature! I am counting down days on my calendar until I can put those outside 🙂 Grabbed a button for my site too. Thanks for hosting the link party too. I always love to come in and see what people are doing. You are welcome! Your post was great. Back the truck up! I love the silhouettes in the frames! This is on my “to do” list! Thank you for being the hostess with the mostest! I’m STILL drooling over those frames. I swear they are first in line on my to-do list. Thank you for hosting Alison. Hope all is well. Thank you for hosting us!! Thank you so much for hosting! Hope you are having a fabulous week! Thanks for letting me link to your party. I love your posts, made me laugh out loud a couple times! Just doing my part to ad a giggle to everyones day. Thank you for hosting! Hope you’re having a great day! Thanks for the feature!!! I was sooo excited! It definately made my day – possibly even week (which is sayin somethin since I’m on vacay at the beach!)! Wow, my feature is better than the beach?! Hot Dog!! Have a great vacation. Your blog is awesome, btw, but vacations are way better than blogging, so go enjoy it! Great features, Allison! How cool that you “pin” the projects you’ve featured. I’ll have to go take a peek. Thanks for hosting! I love pinning them! It really helps drive additional exposure to all the amazing projects I see each week. Just doing what I can to help show off other amazing bloggers. For some reason my caption/title name is not showing up (maybe because I tried to use quotes?) If you can fix it on your end, it’s supposed to say “Fun Fall Tree List”, #17. Thanks!! and thanks for hosting! No problem. You should also be able to edit your own entries as well. You are welcome! Thanks for stopping by and partying with us. Hey, Allison! You know I always look forward to your “Hookin’ Up” parties. However, this is the first time I have ever seen all the little pics with links which came after the larger pics and links. Are these always there or are these new? FYI, I LOVE having so many links to look through and choose from.